WHITE-CHOCOLATE-FUDGE…. Need I say more!? If you like chocolate (yes!) if you like fudge (yes!) then you need to make this recipe! Really guys, there is nothing in this that is ‘bad’ for you! This is such a quick easy DELICIOUS mixture of all things good! White Chocolate has a high source of antioxidants to decrease the toxicity of the pollution that enters the body. White Chocolate may increase the rate of prothrombotic (blood clot) to cover the injury which makes wound healing faster. White Chocolate undergoes remarkable little oxidation during storage OR cooking! White chocolate may be a good alternative to those who are sensitive to dark chocolate and exhibit symptoms such as intestinal distress or headaches after consumption. I could keep going BUT…. Let’s just get right to it instead! A couple months ago when the holidays were right around the corner and I had a deep desire to make fudge (PLUS I had a 3lb. 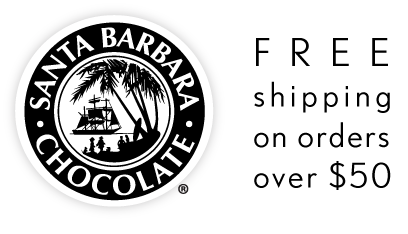 bag of @santabarbarachocolate White Chocolate that I was just dying to break into!) I combined a few of my favorite things (*cue the Sound of Music) *5 simple ingredients to be exact* and with only 3 steps I created my White Chocolate Fudge! It is a WINNER! Plus, you need to keep these in the freezer or refrigerator to keep their integrity and that makes them seem like you just scored two treats in one! 1) On a stove, in a small pot over medium heat, whisk the coconut milk and gelatin until there are no remaining clumps. Once smooth, turn the stove to low heat and add the remaining three ingredients and continue whisking until well combined and all the chocolate has melted. 2) Pour mixture into a parchment lined 8x8 dish and pop into the fridge for about 6 hours. 3) Remove from the refrigerator and top with more sea salt if desired, cut into squares and enjoy! Incorporate ½ C of chopped nuts like almonds, walnuts, cashews, hazelnuts (or any other kind you have lying around) into the final stir! Maybe try to add some marshmallow cream and graham cracker pieces if you like smores! - - - - - Get creative and have some fun with it! I currently work in construction development for a Scottsdale, AZ based restaurant group. I am a wife and mom of the sweetest 12 yr. old yorkie named Little B. I have solely created and made the food and desserts for many parties and corporate events. About 18 months ago, I started to get frustrated as I was making my weekly menu and my husband would ask for “that dish that you made either 2 weeks ago or a month ago. I am not sure if it had chicken or turkey in it or if it was soup or not but it was soooo good, will you make that this week?” So… I started my Instagram page @themunchkintree as a way to have my own recipe book with photos for my husband and I to look through to remind us of what we want to have and it has the recipe right there with it! As people started to “like” and “follow” my page, I realized that by helping myself, I am helping others and that gives me the MOST joy!